MADISON, Wisc. – April 6, 2017 – Twenty-two inmates at the Dane County Jail celebrated their graduation of the Windows to Work program on Wednesday, April 5. This 7-week course is designed to increase the chances of success and employment after release from jail. Windows to Work offers re-entry tools, support, and career services, before and after release. Pre-release components include cognitive intervention, general work skills and expectations, financial literacy, community resources, and job seeking applications and resumes. After release, a career coach transitions the participants to community Job Center services to continue working on retention and for follow-up services. “I appreciate everyone who makes this program possible. Because of you, I can take care of my daughter and hopefully get a really good job so I won’t ever have to worry about money again,” said Tyler Petersen, a recent graduate of the program. 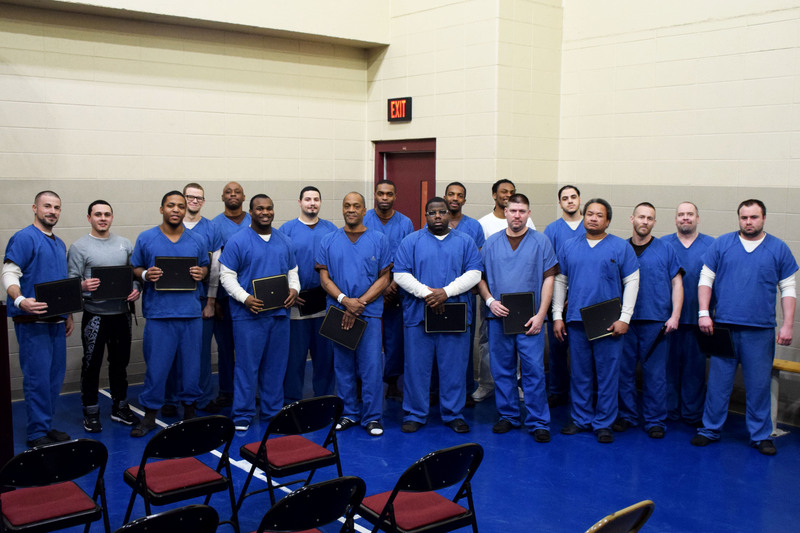 Since the program’s launch in June 2015, more than 75 inmates have engaged in the program’s cognitive behavioral and career readiness training offerings pre-release. The Workforce Development Board of South Central Wisconsin (WDBSCW) is a private, 503(c)(3) nonprofit organization that collaborates with businesses and workforce in the Wisconsin counties of Columbia, Dane, Dodge, Jefferson, Marquette, and Sauk with a mission to build public and private partnerships that support innovation and excellence in workforce development.